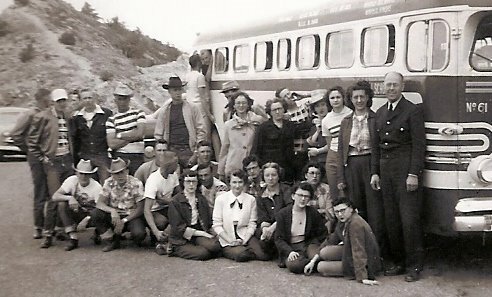 Amy McGee Jardell: senior trip 1952: Sponsor Mac ? before she married Dale Smultz; Carmon Edmonstom Judy Moore bottom Row?? ?